Overexcitabilities was a topic that had not been discussed on #gtchat since October of 2012, and obviously one that needed revisited considering the overwhelming number of votes it received in our weekly poll. 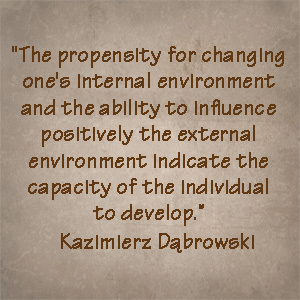 Kazimierz Dąbrowski is a familiar name in the gifted community as well as in the field of psychology. His theories of Positive Disintegration and Overexcitabilites, although not originally posited for gifted individuals only, were adopted by gifted advocates and academics as a way to explain many of the behaviors they saw in the gifted; particularly the concept of overexcitabilities. Dąbrowski died in 1980, but two men who worked with him, Michael Piechowski and William Tillier, are closely associated with his work; albeit with significantly different interpretations. For a historical perspective, links have been included with this post to more fully cover this debate as it was not covered during the chat. So exactly who was Kazimierz Dąbrowski and how did his theories come to influence the gifted community? He was a Polish psychologist, psychiatrist and physician who lived from 1902 to 1980. His theories, as mentioned above, serve as a framework for understanding certain gifted characteristics. Dąbrowski believed ability/intelligence plus overexcitability predicted the potential for higher-level development. (Lind) For an excellent review of his influence on gifted theory, see this article by Sharon Lind at the SENG website. Concentrating on overexcitabilities, there are 5 types: Psychomotor, Sensual, Intellectual, Imaginational, and Emotional. Creative and gifted individuals appear to express overexcitabilities to a greater degree through increased intensity, awareness and sensitivity. These characteristics can often lead to misdiagnosis in gifted children by professionals unfamiliar and untrained in recognizing these traits. Strategies have been developed for coping with overexcitabilities. Talking with and explaining the concept of overexcitabilities with those experiencing them tends to be a good coping strategy. In the case of children allowing them to ‘move’ and expend their energy in a safe and caring environment can be a huge benefit; especially in classroom settings. Provide stimulating and challenging coursework in educational settings for children with intellectual overexcitability can affect their lives in dramatic ways as well as prevent underachievement and boredom. For a transcript of this chat, visit our Storify site. Global #gtchat Powered by the Texas Association for the Gifted and Talented is a weekly chat on Twitter. Join us Fridays at 7/6 C & 4 PT in the U.S., midnight in the UK and Saturdays 1 PM NZDT/11 AM AEDT to discuss current topics in the gifted community and meet experts in the field. Transcripts of our weekly chats can be found at Storify. Our Facebook Page provides information on the chat and news & information regarding the gifted community. Thank you to Leslie Graves (President of the World Council for Gifted and Talented Children), Dr. Brian Housand (NAGC Board of Directors, #gtchat Advisory Board, Amy Harrington (SENG Board of Directors), Jo Freitag (Gifted Resources), Corin Goodwin (Executive Director of Gifted Homeschoolers Forum), Dr. Marianne Kuzujanakis (SENG Director and Medical Liaison) , Amanda Morin, and Jerry Blumengarten (Cybraryman). Overexcitabilities and Asynchronicity and Perfectionism! Oh, My! Sprite’s Site Do You Know the Dabrowski Dogs? 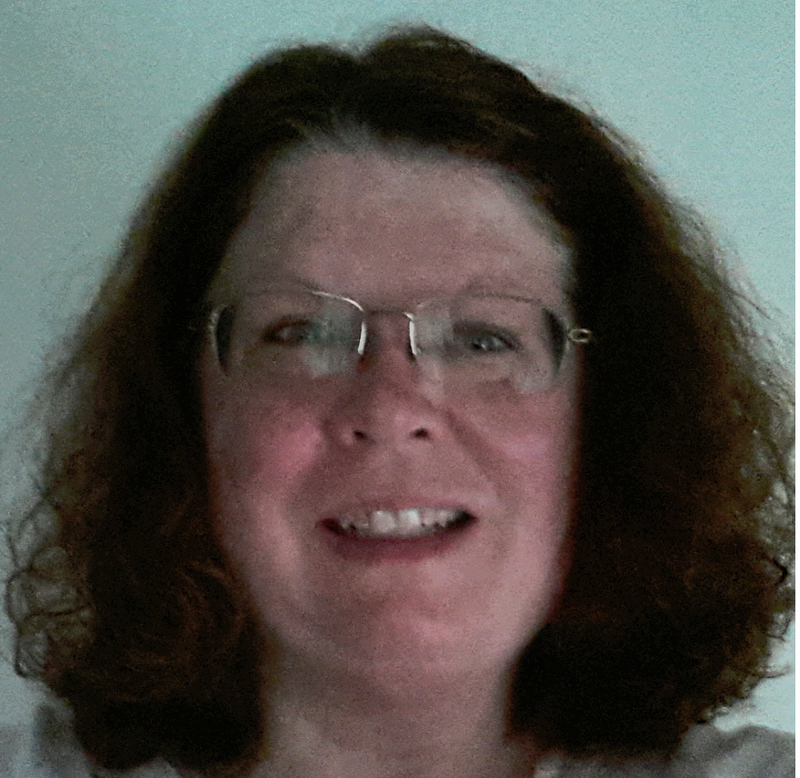 Posted on April 2, 2015, in Advocacy, anxiety, Emotional intensity, Existential Depression, gifted, gifted and talented, gifted education, Mental Health, Psychology, Social Emotional, Underachievement and tagged classroom, coping, existential depression, gifted and talented, gifted children, gtchat, Kazimierz Dąbrowski, Mental Health, Michael Piechowski, misdiagnosis, overexcitabilities, Positive Disintegration, psychology, TAGT, Twitter, underachievement, William Tillier. Bookmark the permalink. 4 Comments.